1. I should have a little work trip abroad towards the end of February, fingers crossed. Think hot and dusty. 4. I will get to see my sister (even just briefly!) for brunch and some wedding updates, which will be nice as we don't get the chance to see each other very often. 4. Taylor Swift!! This just creeps in there as I'm going on 2nd February to see her at the O2 - Mark got the tickets for my birthday last year. I am so excited and hopefully she'll be amazing! I've never gone to a solo singer's gig before, can't imagine watching a stage with just the one person on it. 4. A short month means my pay has less far to stretch, and this can only be a good thing. 5. Finally I'm looking forward to keeping up my goals for 2014 because they've (mostly) been going well so far. 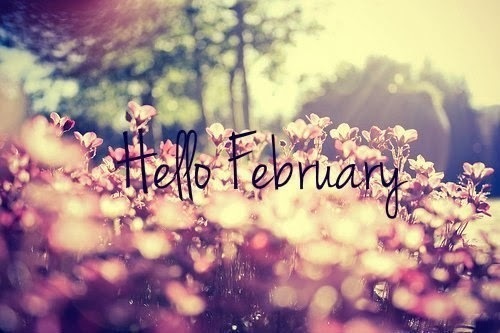 What are you up to this February?